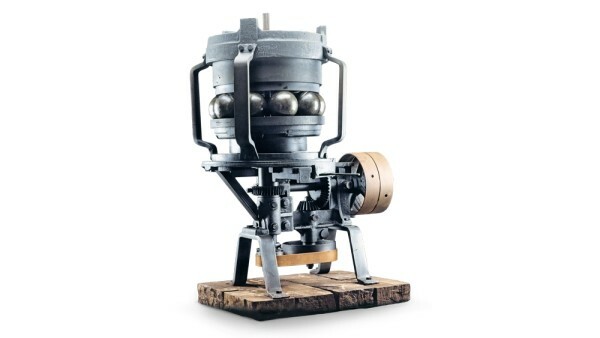 Friedrich Fischer designs the ball grinder. This machine allows steel balls to be ground to an absolutely round state for the first time – and in large volumes. 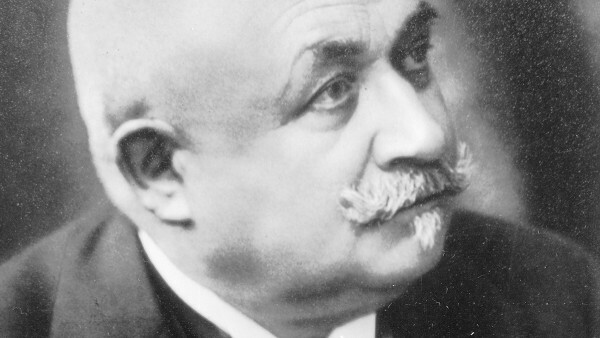 Thanks to this innovation, he lays the foundation for the entire rolling bearing industry. 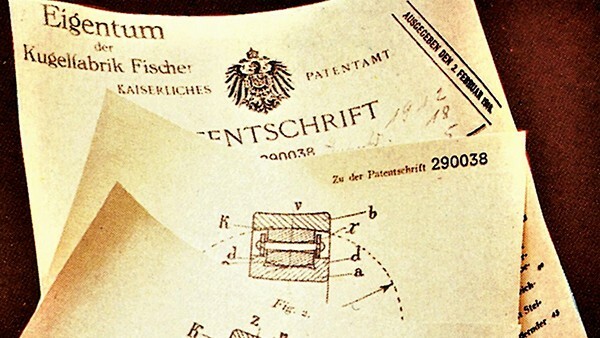 Thus, the worldwide success story of the ball bearing begins in Schweinfurt. Later, 1883 is officially declared the year in which FAG was founded. 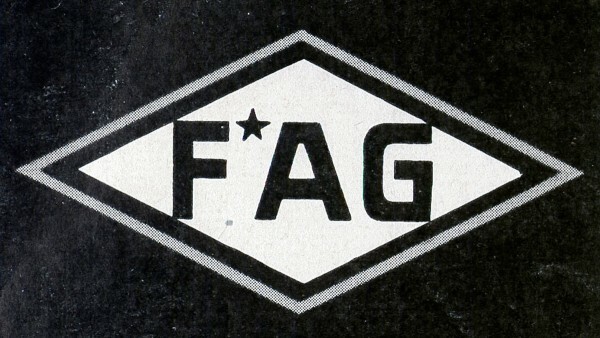 On July 29, the FAG brand is registered with the patent office in Berlin. 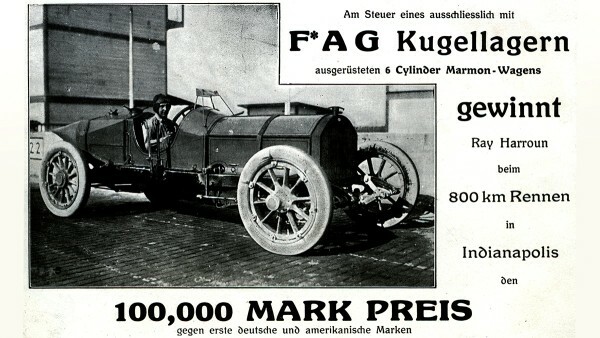 The registered trademark FAG, which stands for Fischers Aktien-Gesellschaft, is protected in over 100 countries today. Georg Schäfer takes over the “First Automated Cast Steel Factory, previously Friedrich Fischer, AG“ (“Erste Automatische Gußstahlkugelfabrik, vormals Friedrich Fischer, AG“). 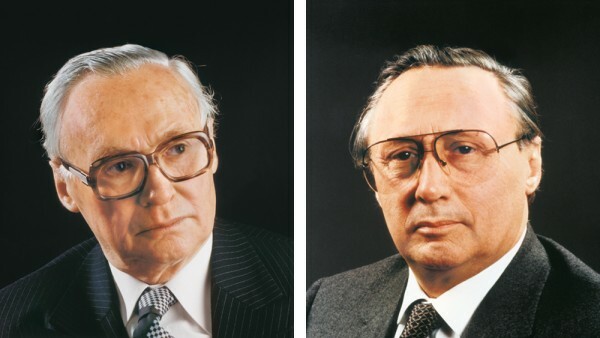 Georg Schäfer’s strong personal commitment and hard work make the industrial company internationally renowned. Exports increase – also due to the excellent quality of the rolling bearings supplied – to 40 percent before World War I. 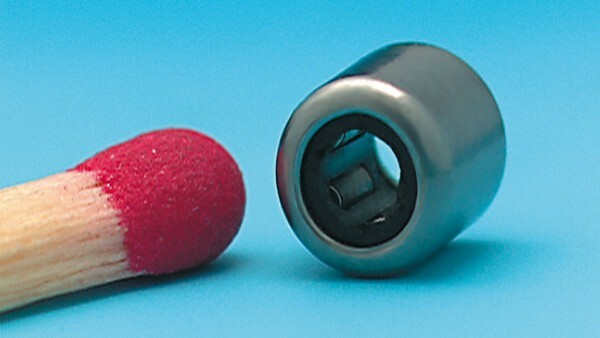 Rolling bearings are used in increasingly more automotive applications. Ray Harroun wins the first Indy 500 race in Indianapolis driving a Marmon whose engine is equipped exclusively with FAG ball bearings. 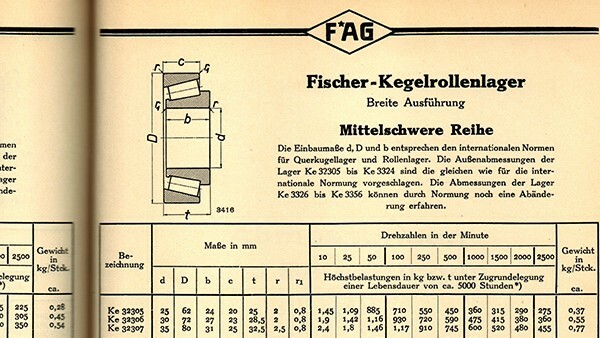 Johann Modler, an FAG engineer, develops the barrel roller bearing allowing angular adjustment (DRP no. 290 038 dated February 16, 1912). Tapered roller bearing production begins. Brothers Dr. Wilhelm and Dr.-Ing. 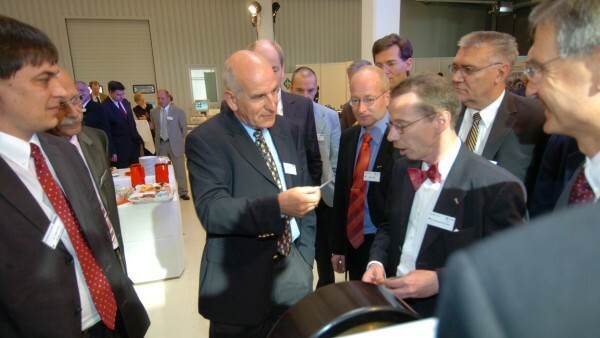 E. h. Georg Schaeffler, both holders of Ph.D. degrees, found Industrie GmbH in Herzogenaurach. 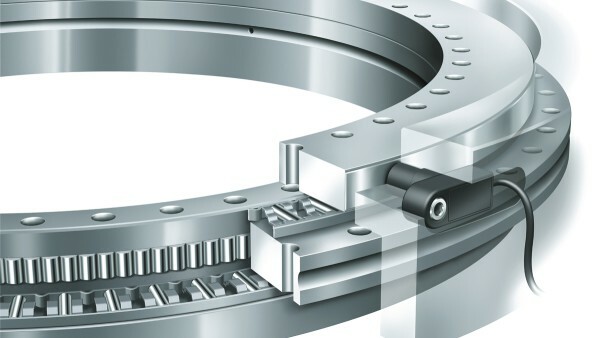 A groundbreaking idea: The needle roller cage, developed by Georg Schaeffler, makes the needle roller bearing a reliable component for industrial applications. The first linear guidance system: The INA flat cage lays the foundation for the new linear technology business unit. 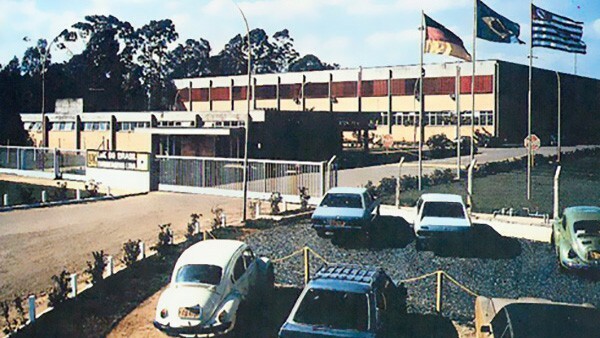 Manufacturing close to the customer: INA follows VW to Brazil and opens a new plant in São Paulo. 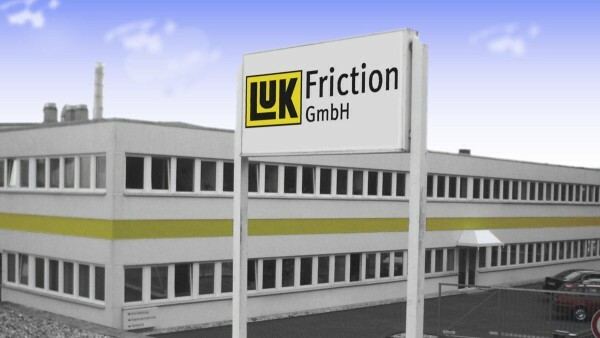 LuK Lamellen und Kupplungsbau GmbH is co-founded in Bühl by the Schaeffler brothers. 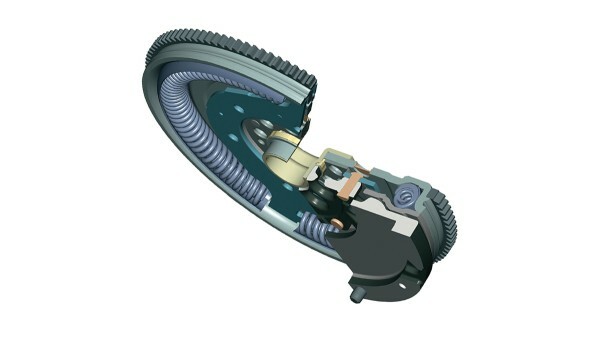 LuK, the first clutch manufacturer in Europe, introduces the diaphragm spring clutch. 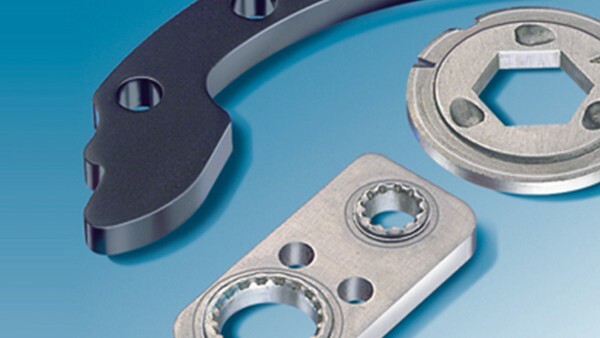 INA is one of the first manufacturers in Europe to supply volume-produced hydraulic valve lash adjustment elements. Founding of LuK do Brazil (Fig.) and LuK Mexico. 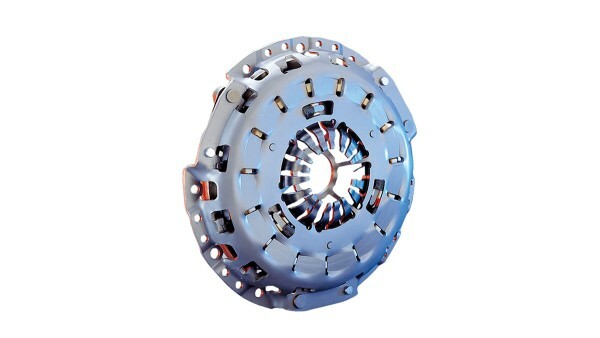 As the worlds first clutch manufacturer LuK supplies diaphragm spring clutches for tractors. Dr. Georg Schäfer dies on January 27. 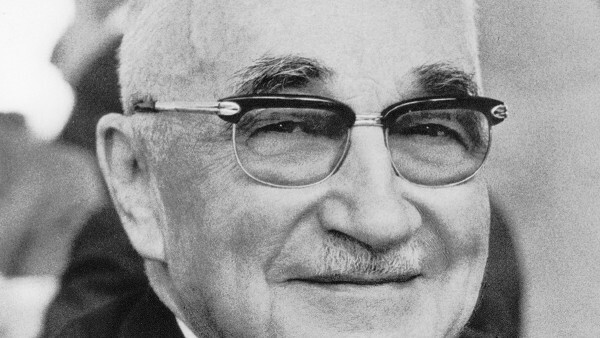 Dr. Schäfer, born August 7, 1896, had been a shareholder since 1922. 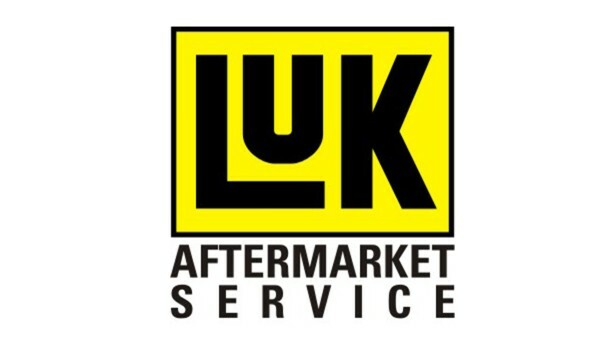 The founding of LuK AS (Autoteile-Service GmbH) marks the start of customer orientated service and marketing activities. 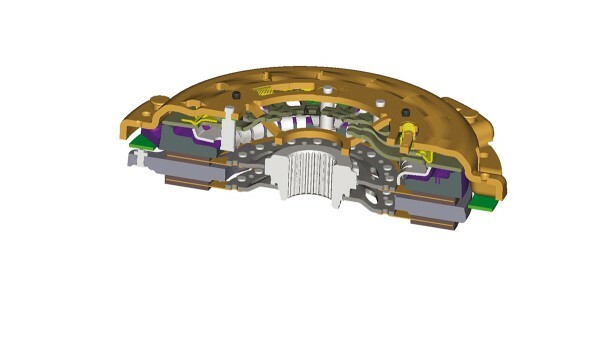 LuK optimises vibration damping with torsion-damped clutch discs. New expertise: High-precision fineblanking technology is secured after investing in HYDREL AG, Switzerland. The FAG Kugelfischer Foundation is set up. It recognizes outstanding achievements in physics, mathematics, and dissertations in colleges and universities. 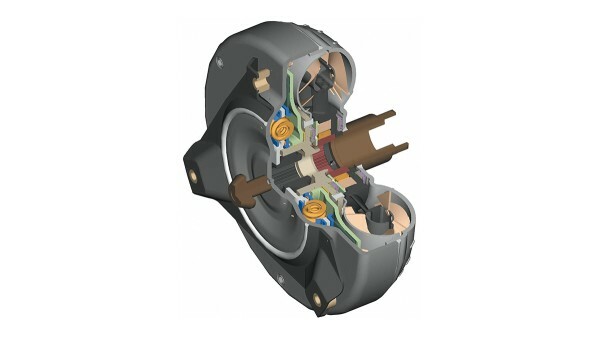 The LuK dual mass flywheel sets new standards in drive train noise insulation. Acquisition of Atlas Fahrzeugtechnik (AFT) in Werdohl. 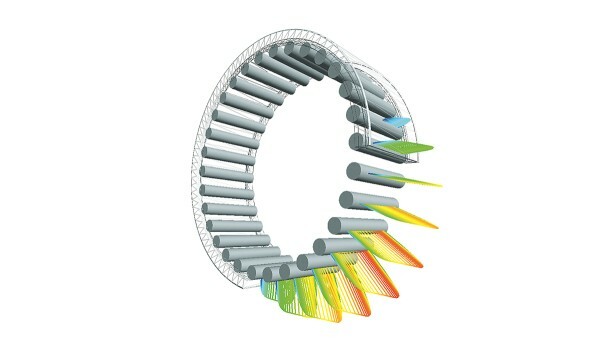 In Schweinfurt, a flexible central heat treatment system for rolling bearing rings is put into operation. As well as implementing modern heat treatment methods, the new heat treat department takes process safety, maintenance and environmental issues into consideration. Hydraulic variable cam timers made by INA allow continuous valve adjustment for the first time. 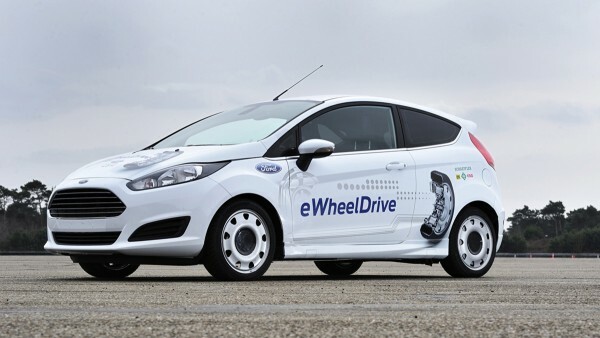 Fuel consumption and emissions are reduced. 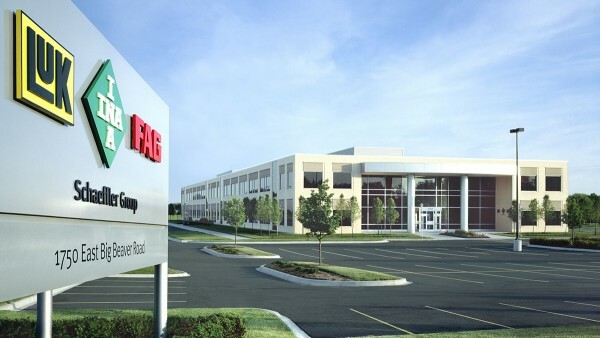 FAG acquires The Barden Corporation, an American precision bearing manufacturer based in Danbury, Connecticut. This secures FAG’s position on the North-American market. 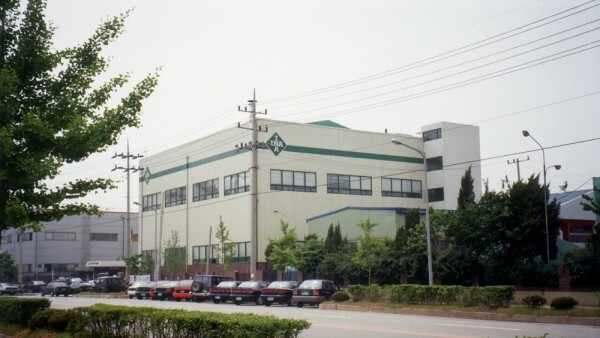 INA’s new plant in Ansan (Korea) – a milestone in entering Asia, a region experiencing fast growth. 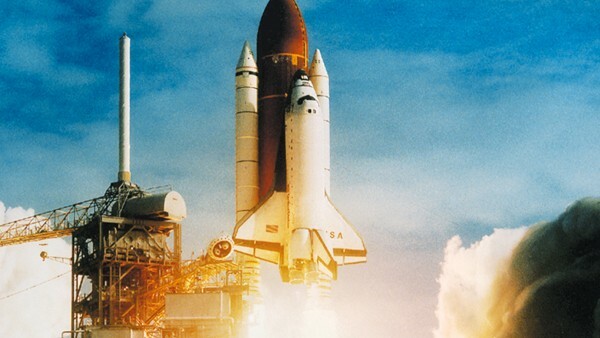 FAG supplies new bearings for the high-pressure turbo pumps for the Space Shuttle’s rocket propulsion. 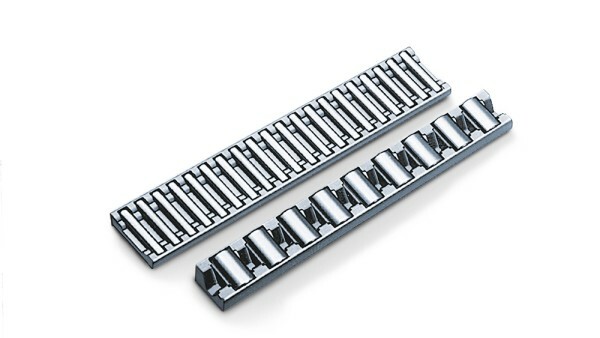 An “economic miracle”: KUVE four-row ball type profiled rail unit with large number of variants and accessories conquers the market. INA Bearings China Co. Ltd. is founded in Taicang (engine components and needle roller bearings for the Chinese market). Georg Schaeffler passes away at the age of 79. Maria-Elisabeth Schaeffler and her son Georg F.W. 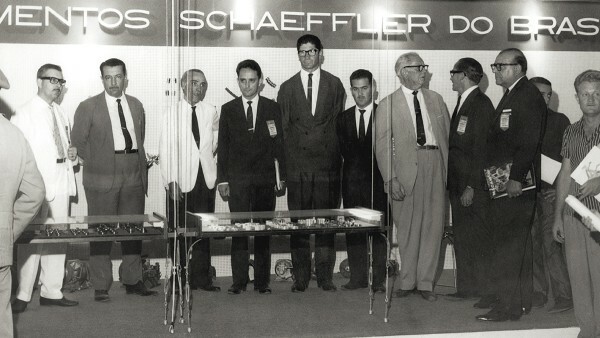 Schaeffler continue his life’s work. 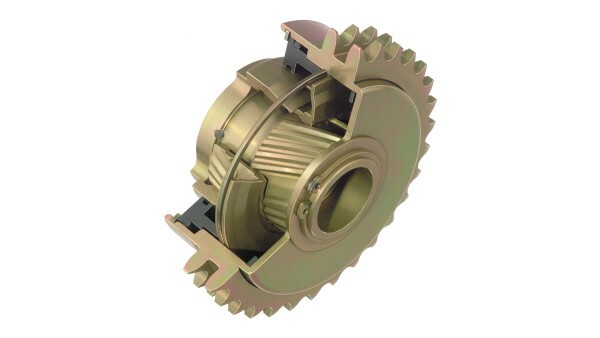 LuK SAC (Self Adjusting Clutch) reduces pedal forces and increases the service life of transmission clutches. 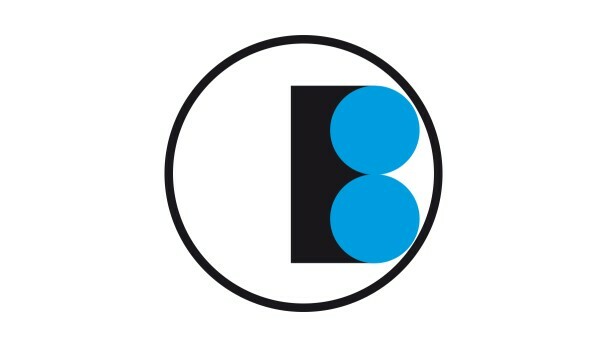 BEARINX® is developed – allowing exact bearing calculations down to individual rolling bearing contacts for the first time. All of INA’s plants worldwide are certified to QS-9000 and VDA 6.1. 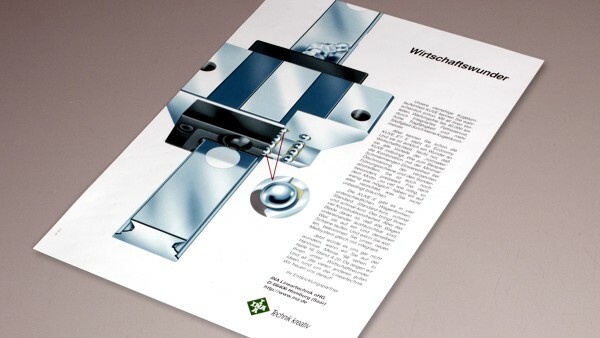 Rotary table bearings with YRTM integrated measuring system – one of the first mechatronics products. A complex testing system for wheelset bearing application testing for rail vehicles is put into operation. Drive operation simulations for high-speed trains can also be carried out on this test stand, which is the world’s most modern test stand. INA takes over LuK GmbH and expands its expertise as a system supplier to the automotive industry. 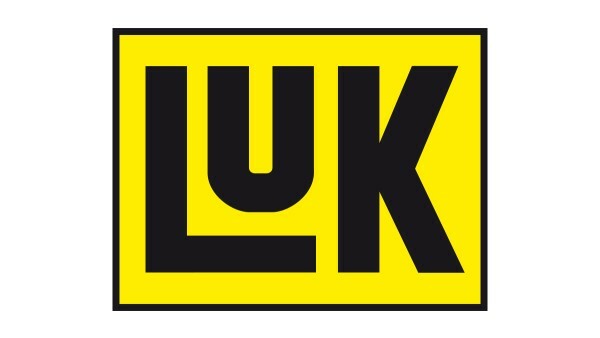 LuK presents CVT components for high torques: LuK chain, disc sets and hydraulics. 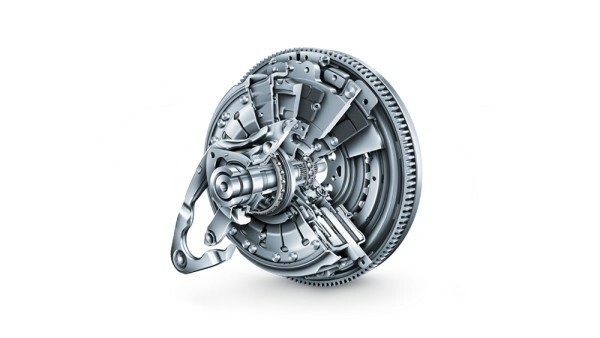 The start of production of the new Audi multitronic® marks the first CVT transmission for more than 300 Nm. 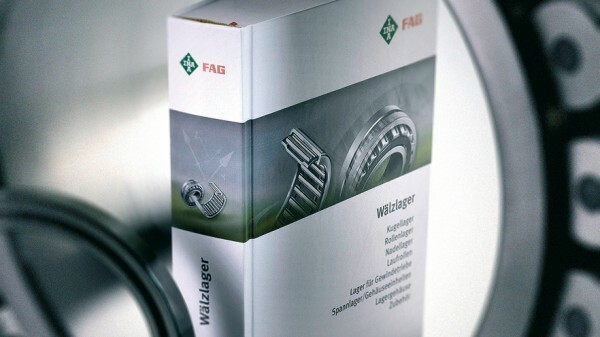 FAG makes a breakthrough in the field of mechatronics bearings. 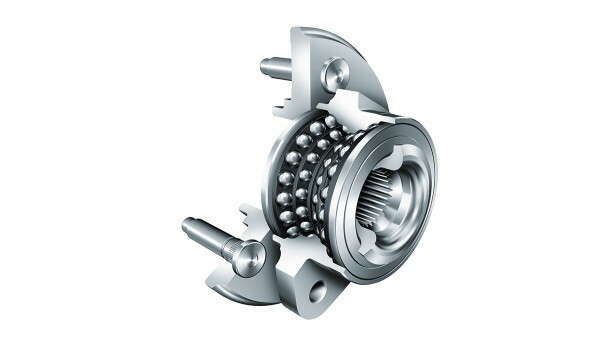 Approval is given for volume production for FAG mechatronic sensor bearings in converter-controlled asynchronous motors for electrical vehicle drives. 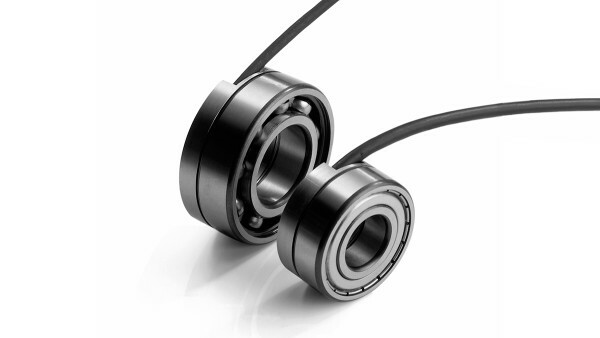 Mechatronic bearings enable electric drives to be controlled and monitored in the smallest of design spaces. 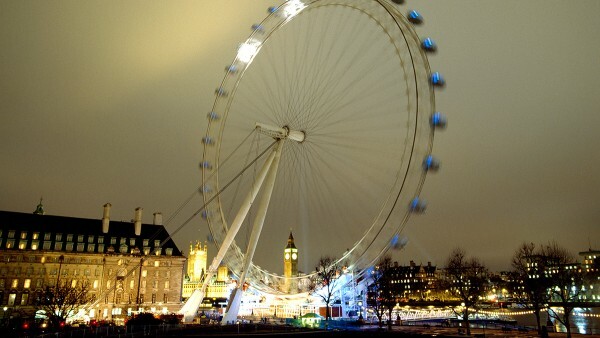 The Millennium Wheel, also called The London Eye, the world’s largest and heaviest Ferris wheel is put into operation. The wheel is 135m high, has a circumference of 424m and a total weight of 2,100 metric tons. Two spherical roller bearings several meters wide and weighing several tonnes from FAG ensure the wheel turns smoothly. 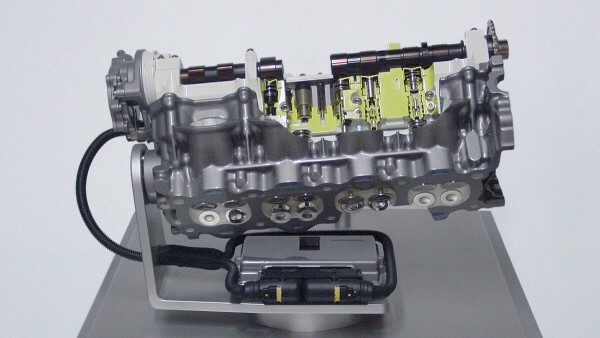 The LuK automated transmission goes into production in the Opel Corsa as the easytronic® - a world engineering premier. 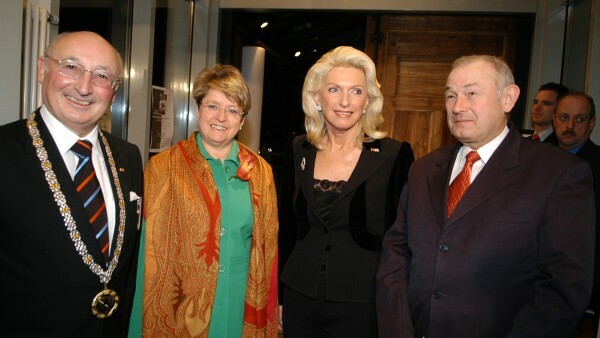 Maria-Elisabeth Schaeffler receives the Cross of the Order of Merit of the Federal Republic of Germany. Start of e-business. 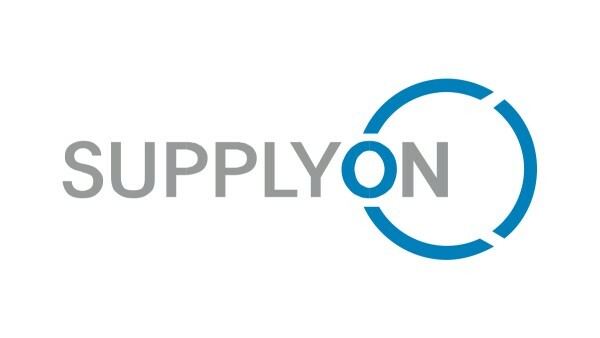 INA co-founds the SupplyOn, Endorsia and PTplace electronic marketplaces. 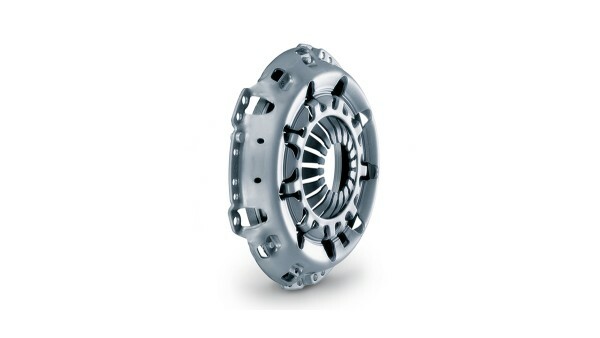 Every 4th car leaving an automotive factory is fitted with a LuK clutch. Acquisition of FAG Kugelfischer Georg Schäfer KGaA, Schweinfurt. 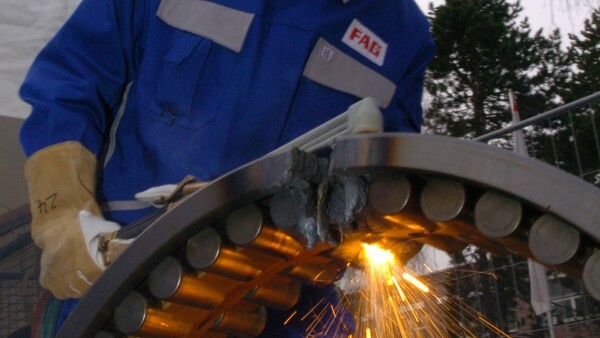 INA and FAG become the world’s second largest rolling bearing manufacturer. 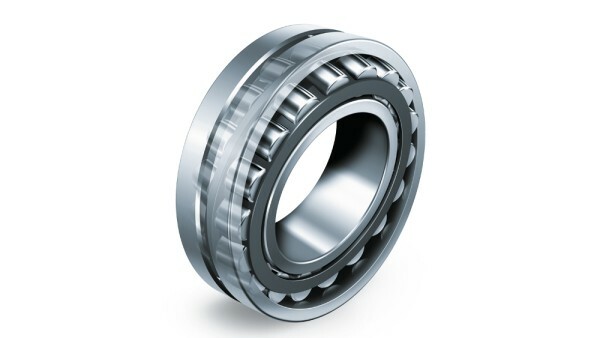 E1 spherical roller bearing: They combine 90 years of experience with the latest developments in the areas of kinematics, materials and production methods. 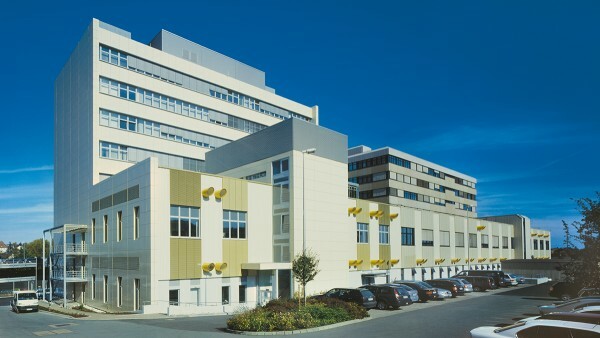 The new R&D center of expertise doubles development capacity in Herzogenaurach. Anniversary: the 20 millionth ZMS comes off the production line in Bühl. 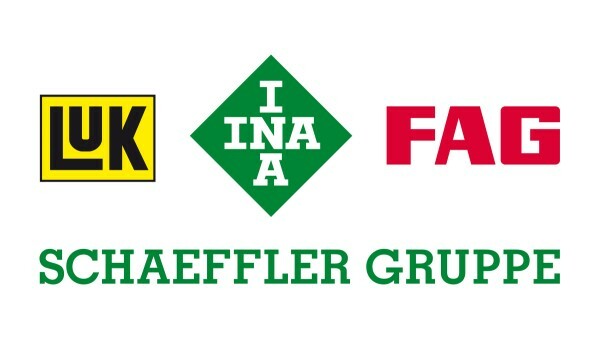 INA, FAG and LuK form the “Schaeffler Group”. 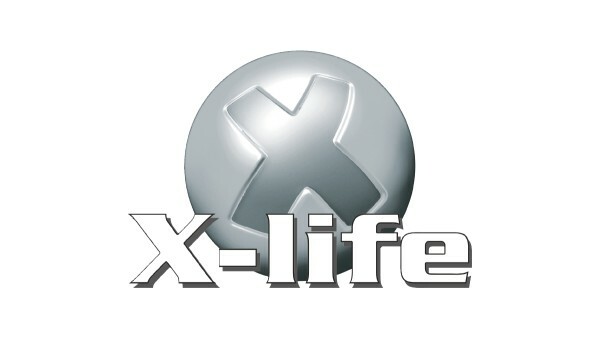 Start of X-life: Shared mark of quality for premium products and services supplied by INA and FAG. 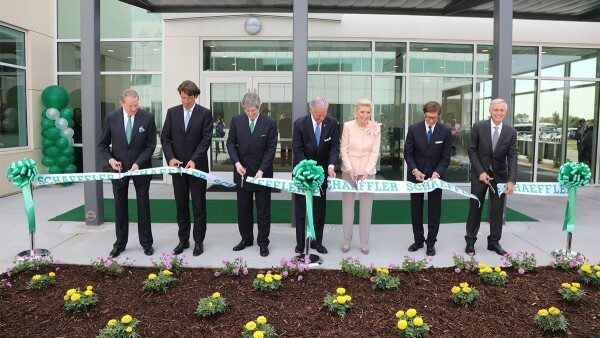 The Schaeffler Group opens a new automotive research center in Troy (United States). 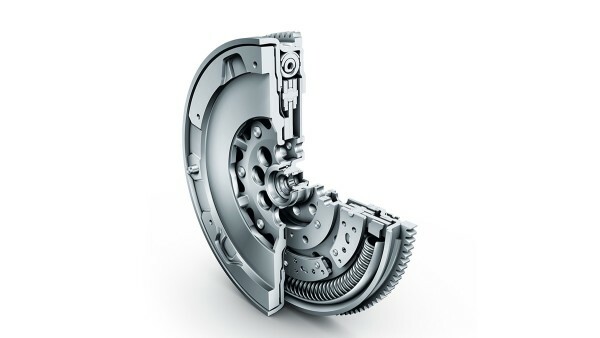 The installation of the integrated crankshaft damper in the VW Touareg is further proof of LuK's drive train expertise. Maria-Elisabeth Schaeffler is honored with the “Entrepreneur of the Year” award for her exceptional work as the owner of Germany’s largest industrial family-owned company. Start of volume production of the world’s smallest drawn cup needle roller bearing (2 mm shaft diameter) for a motor application in electronics manufacturing. 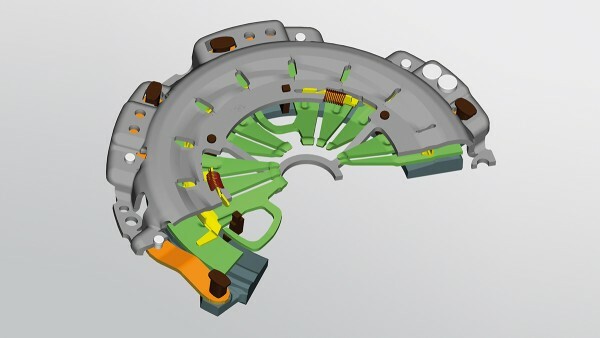 The production of torque converters starts on the main site at Bühl. 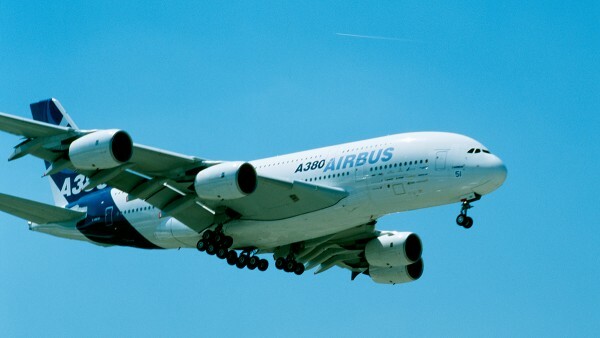 Maiden flight of the Airbus A380 with FAG bearings. 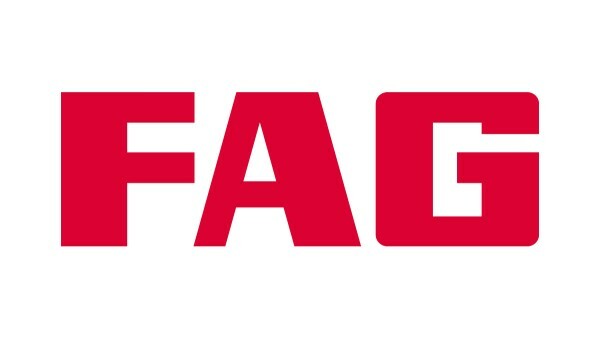 FAG supplies all engine bearing supports and numerous components for the Rolls Royce “Trent 900” engines for the world’s largest passenger aircraft. 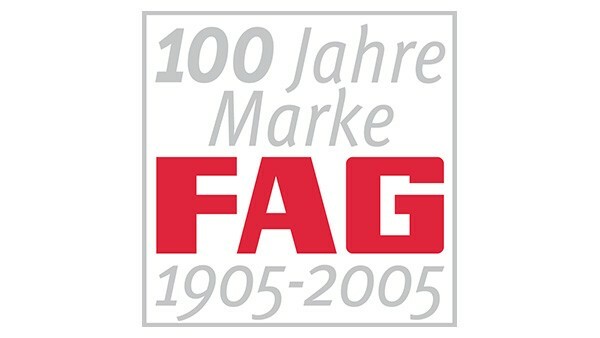 The FAG brand celebrates its 100th anniversary. 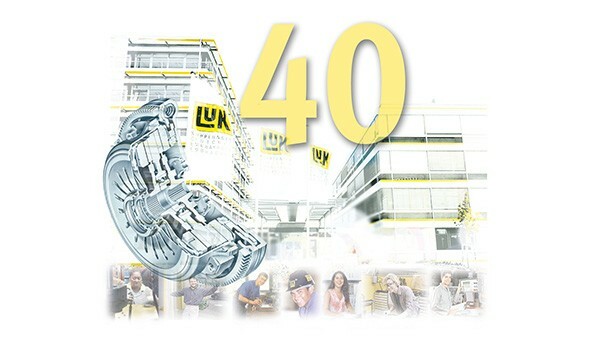 LuK celebrates its 40th company anniversary. 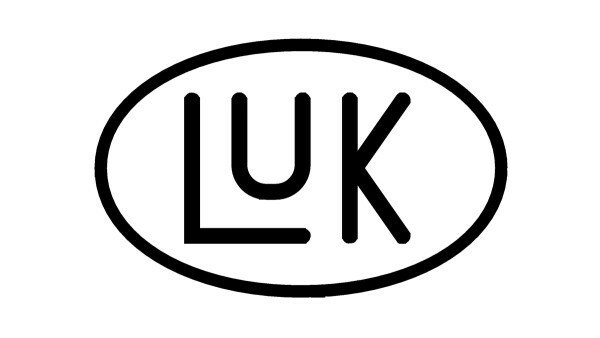 LuK takes over APTEC and completes the competence in the range of the friction facings. APTEC becomes LuK Friction. Maria-Elisabeth Schaeffler is made an honorary citizen of Herzogenaurach for her exceptional services to the city and the region. The first joint main catalog of the INA and FAG brands is published. The 1,500-page compendium comprises approximately 40,000 standard products. More than 100 customers from all over Europe visit the 2006 Innovation Days of Schaeffler Group Industrial in Schweinfurt. 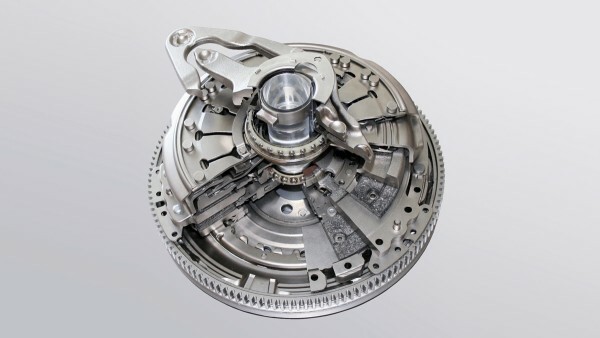 Technology Premiere: LuK presents a twin plate clutch with self adjustment for standard applications for the first time. 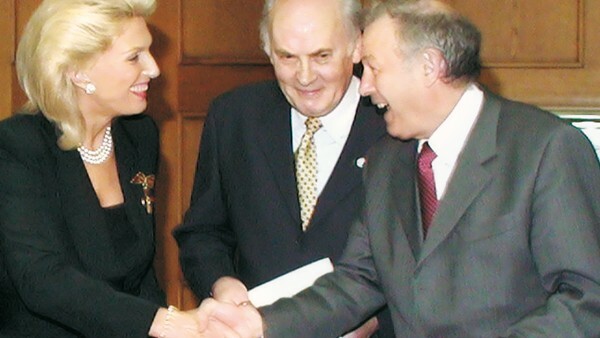 Federal President Horst Koehler awards the 1st Class Cross of Merit of the Order of Merit of the Federal Republic of Germany to Maria-Elisabeth Schaeffler. 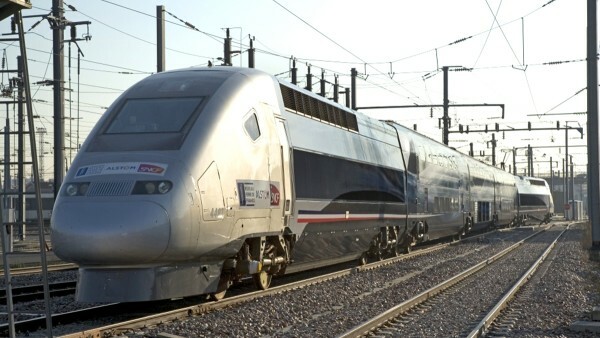 With the help of FAG bearings (cylindrical roller bearings, four point contact bearings and tapered roller bearings in traction motors and gearboxes), the V 150 high-speed train sets a new world record by travelling at 574.8 kilometers an hour. 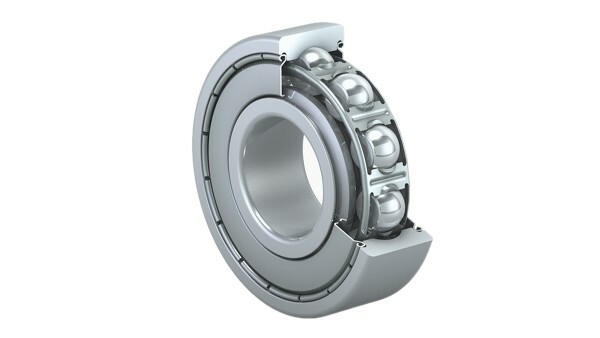 The twin tandem, a four-row angular contact ball bearing, replaces conventional tapered roller bearings in wheel bearings and contributes significantly to saving fuel. Joint action by INA, FAG and SKF in the fight against product piracy at FAG in Schweinfurt. 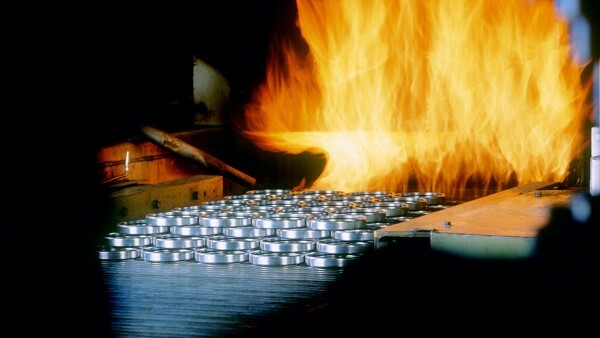 Around 40 tons of counterfeit rolling bearings are destroyed. In July, the Schaeffler Group makes a voluntary public takeover bid to the shareholders of Continental AG. An investor agreement is signed in August. The EU commission approves the takeover in December. Inauguration of the training center at FAG in Wuppertal, Germany. The new trainee workshop for 121 trainees and seven training staff is opened in the presence of Maria-Elisabeth Schaeffler. 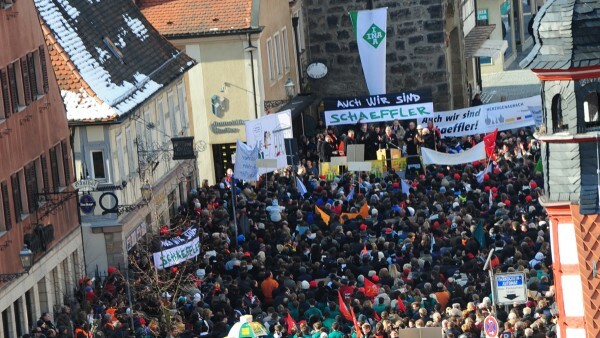 Schaeffler employees demonstrate in Herzogenaurach and in other locations in support of their company. Around 8,000 people take to the streets. 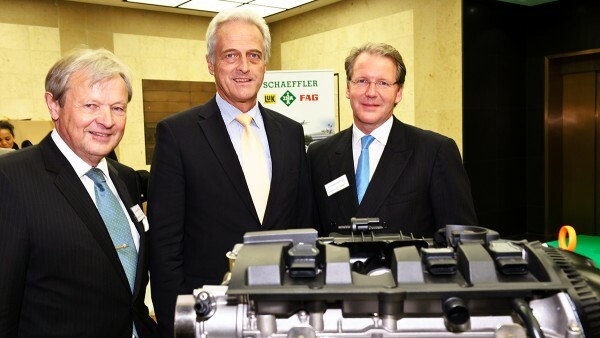 The Schaeffler Group concludes the takeover of Continental AG. The company pays EUR 75 per share. 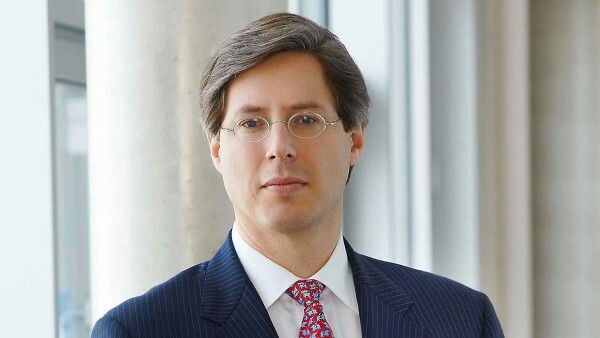 The Schaeffler Group now holds 49.90 percent of the voting rights at Continental AG and is therefore the company’s largest shareholder. Schaeffler transfers the additional tendered shares to financial institutions. The company suffers a sharp decline in orders due to the financial and economic crisis. 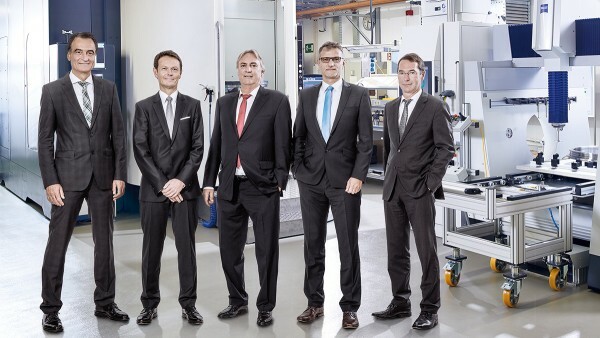 The Schaeffler Group applies for short-time working in several areas of the company. Volume-production readiness of the ball roller bearing. 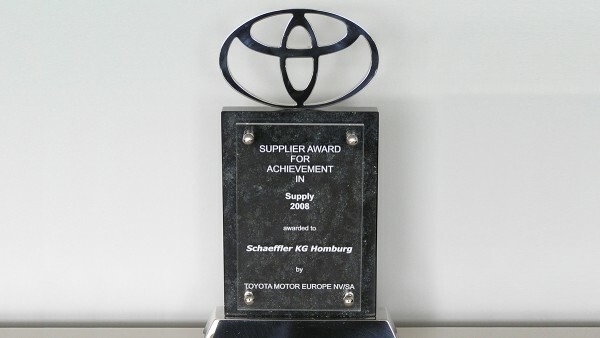 The Schaeffler Group receives the “Achievement Award” from Toyota in the suppliers’ category. 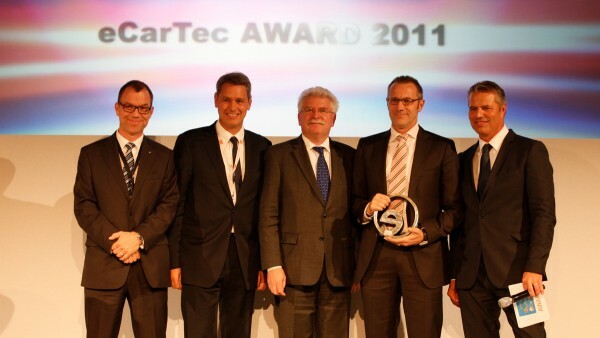 This means Schaeffler is one of only four suppliers to receive this award. 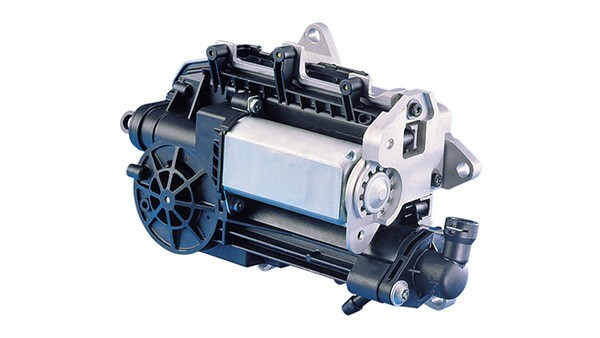 In conjunction with Fiat, the Schaeffler Group develops and produces “UniAir" – the world’s first fully-variable electrohydraulic valve control system. The system reduces fuel consumption and harmful substance emissions by up to 25 percent. 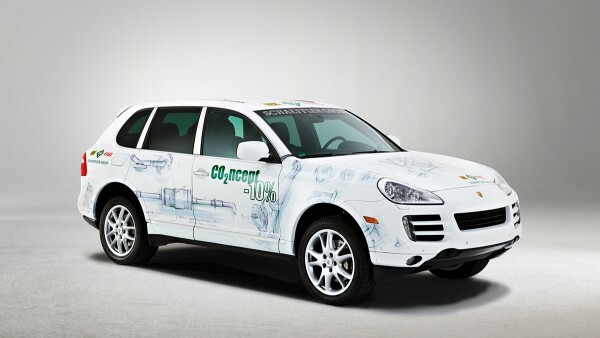 The Schaeffler Group presents its CO2ncept-10% vehicle, a joint advance development project implemented by Porsche and the Schaeffler Group that achieves a total reduction in fuel consumption and CO2 emissions of ten percent by using new and optimized components. 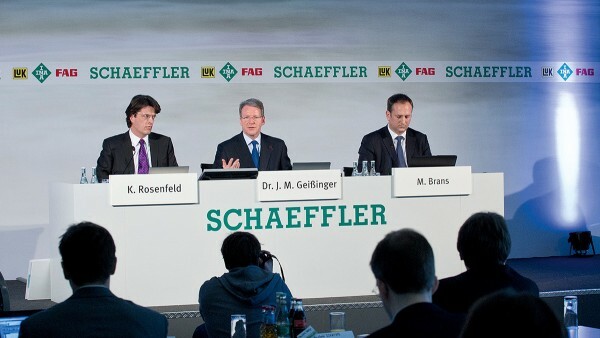 The Schaeffler Group successfully overcomes the most serious economic crisis in recent history. 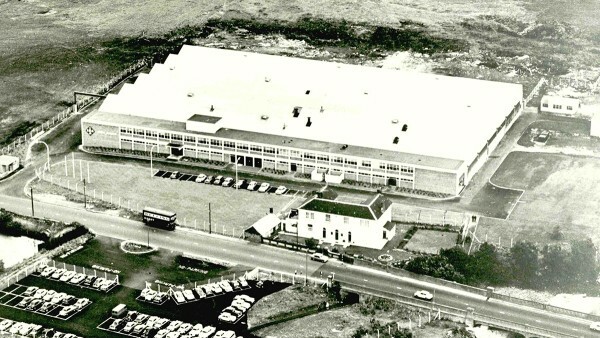 The company is already working at close to full capacity in all plants by mid 2010. 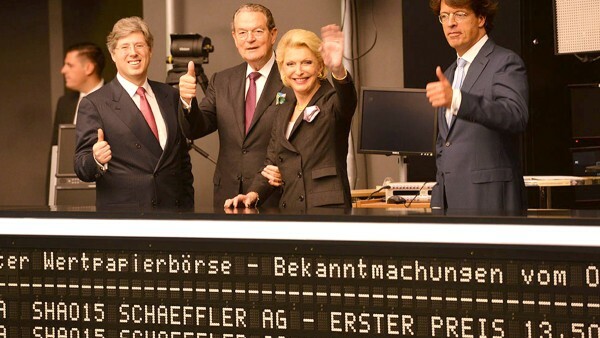 Towards capital-market structures: Schaeffler Technologies GmbH & Co. KG becomes the legal successor to Schaeffler KG. The operational business of the Schaeffler Group and the shareholding in Continental AG is consolidated in one newly-established company – Schaeffler GmbH. 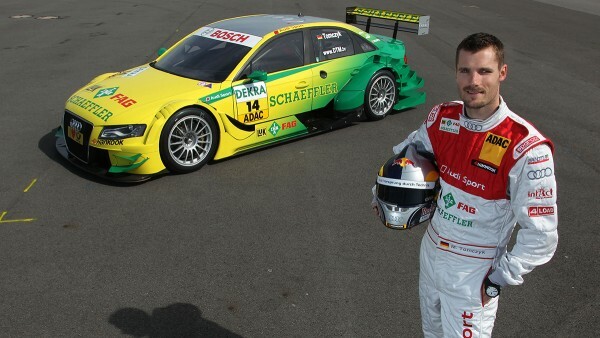 It is entirely owned by the Schaeffler family. 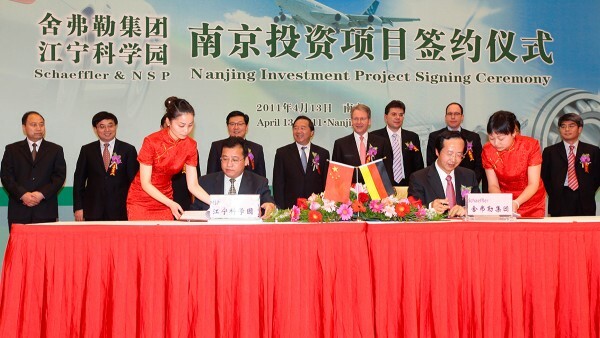 Cooperation agreement with Henan University of Science and Technology in China. 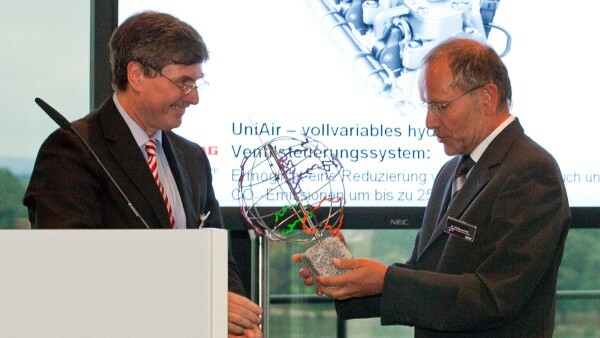 Eco Globe for the UniAir product innovation, the world's first fully-variable electrohydraulic valve control system. 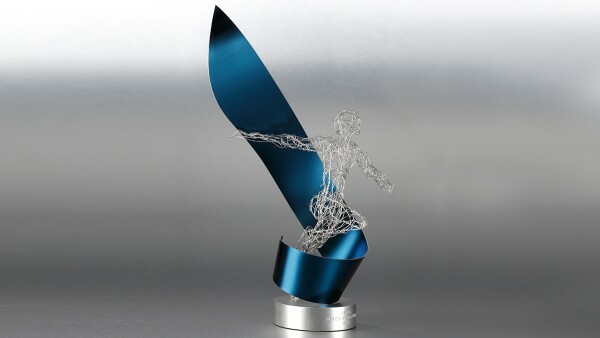 The prize is awarded annually for the most environmentally-friendly innovations in automotive applications. Georg F. W. Schaeffler is elected Chairman of Schaeffler’s supervisory board during the board’s first constituent meeting. 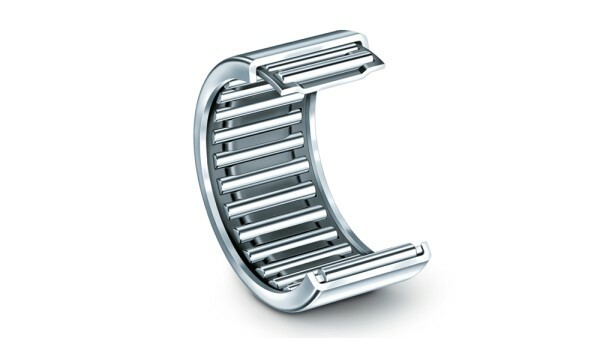 The Schaeffler Group presents its “Schaeffler Hybrid”. 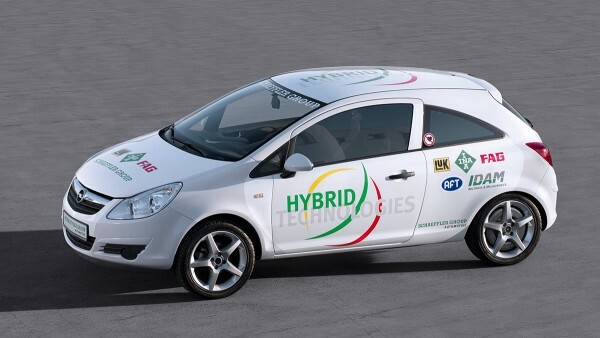 The “Schaeffler Hybrid” not only has a volume-produced combustion engine from a basic vehicle, but also has a central electric motor and two wheel hub motors. 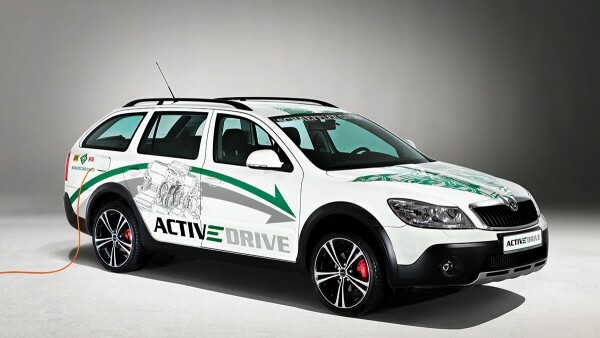 With its ACTIVeDRIVE, Schaeffler presents a concept vehicle for electric mobility and thereby completes its trio of demonstration vehicles for the company’s vision of modern automobility. 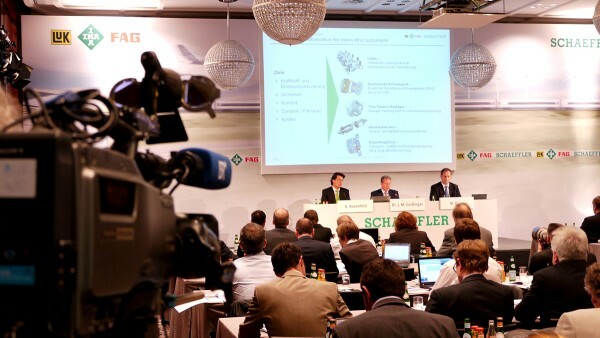 Press conference for annual financial statement in Frankfurt, Germany: The end of 2010 sees record results for the Schaeffler Group with an increase in sales of 29.4 percent to EUR 9.5 billion. 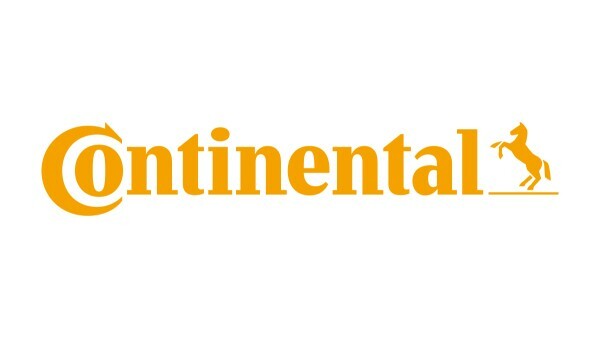 Sale of Continental shares from the portfolio of private banks M. M. Warburg and Bankhaus Metzler to a wide international investor base. Around 29.7 million shares are divested at EUR 60 each during this placement. These sales in shares mean the free float of Continental shares increases from 24.9 percent to 39.7 percent. Extension in Asia: The foundation stone for a new FAG plant is laid in Savli in India. 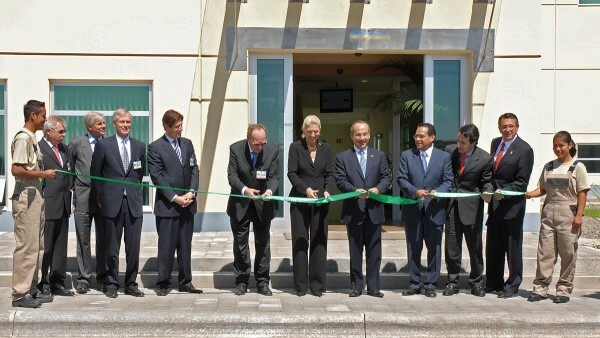 Schaeffler establishes a new manufacturing location in Nanjing, China. 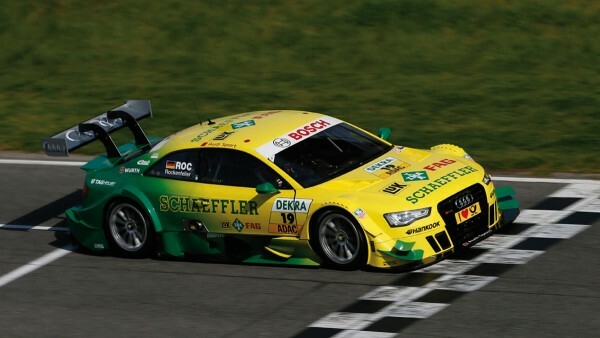 Martin Tomczyk becomes the 2011 DTM champion in the Schaeffler Audi. 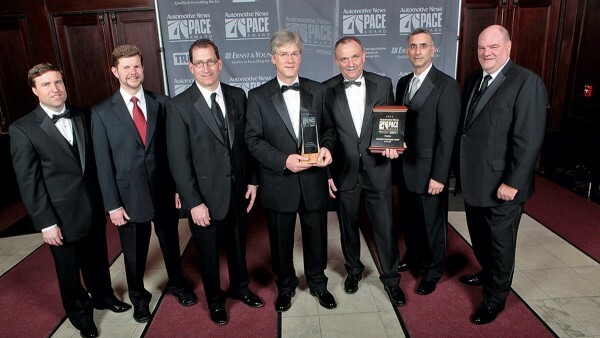 PACE Award for Schaeffler! 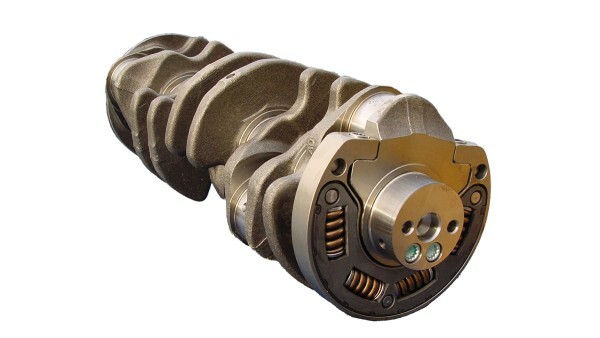 The lightweight balancer shaft with rolling bearing supports won the award in the “Product” category. This innovative Schaeffler product makes an important contribution to cutting fuel consumption and CO2 emissions. 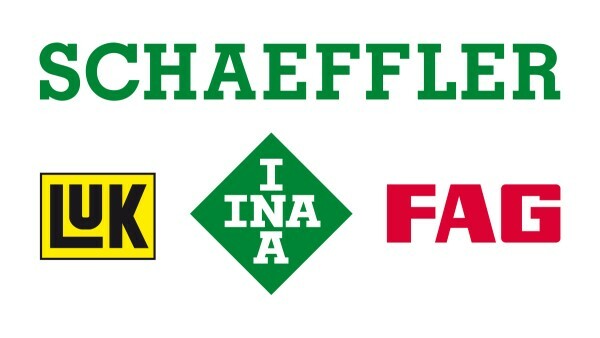 The transformation of Schaeffler GmbH into a corporation not listed on the stock market (Schaeffler AG) becomes effective with the entry in the Commercial Register on October 13. 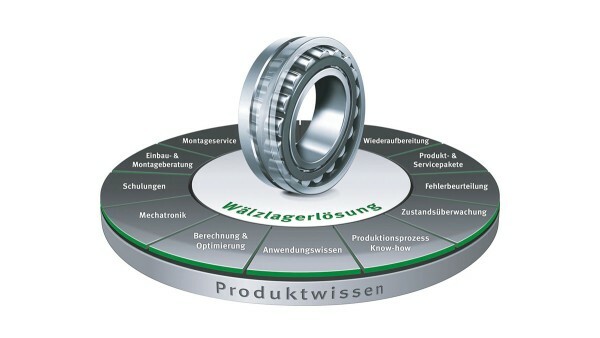 As well as the entire operational business of the Schaeffler Group, all the operational holdings companies affiliated to the Group and the Group’s real estate are bundled in Schaeffler AG. 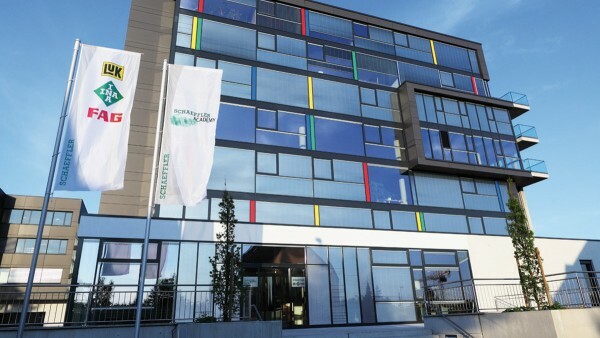 Schaeffler opens an office in the German capital Berlin. Schaeffler is presented with the Bavarian State Award for Electric Mobility in the category drive technology, electrical systems and test systems for its innovative eWheelDrive during the leading trade show, eCarTec. 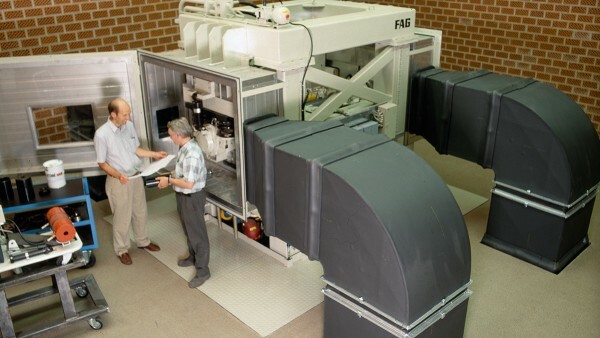 The world’s largest, most modern, and most powerful large-size bearing test stand is put into operation in Schweinfurt. 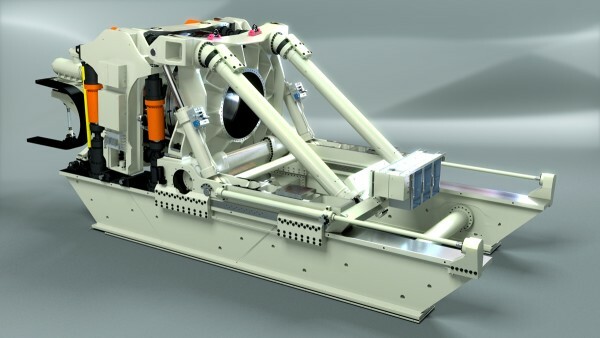 It can perform tests on bearings weighing up to 15 tons and with an outside diameter of up to 3.5 meters. 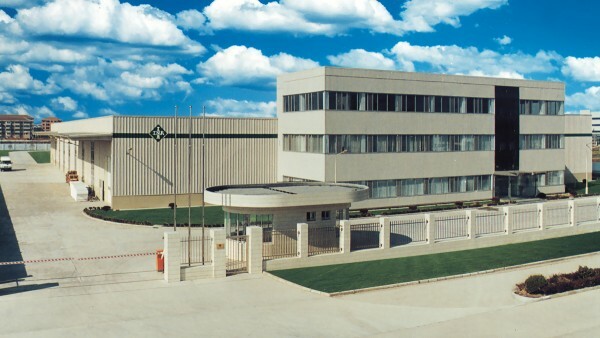 Growth in China: Production of transmission components, bearings, and plastic parts begins at Schaeffler's fourth plant in Taicang. Schaeffler (Ningxia) in Yinchuan celebrates its 10th anniversary and, at the same time, opens a second production site. 1,200 Schaeffler trainees from 29 locations in eight countries meet at the company’s headquarters in Herzogenaurach. The focal topic is getting to know each other and enhancing communication between the training centers across all locations. 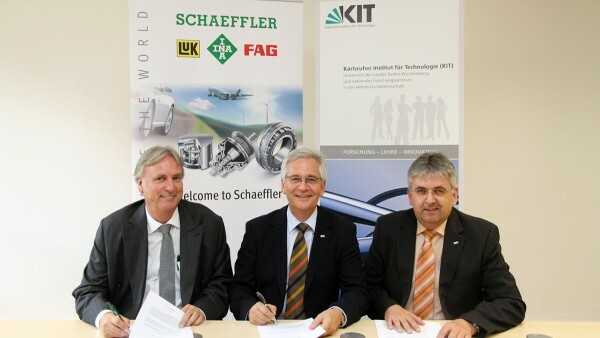 Schaeffler and the Karlsruhe Institute of Technology (KIT) sign a memorandum of understanding for collaboration in the areas of research and advance development in the field of mobility. Maria-Elisabeth Schaeffler-Thumann receives the 2012 “Family Entrepreneur of the Year” award: The Schaeffler Group shareholder is awarded this title by a jury made up of high-ranking representatives of German Industry and Handelsblatt newspaper. 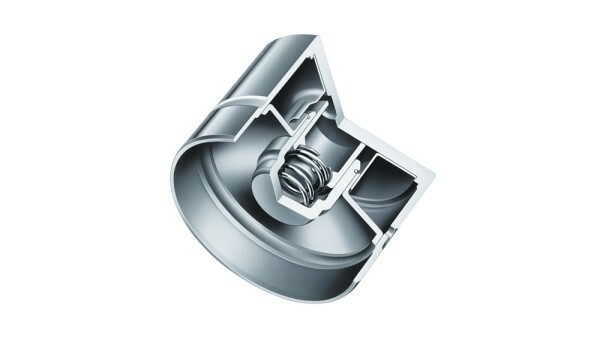 Schaeffler receives the Steel Innovation Prize 2012 with the centrifugal pendulum-type absorber in the category “products made of steel”. 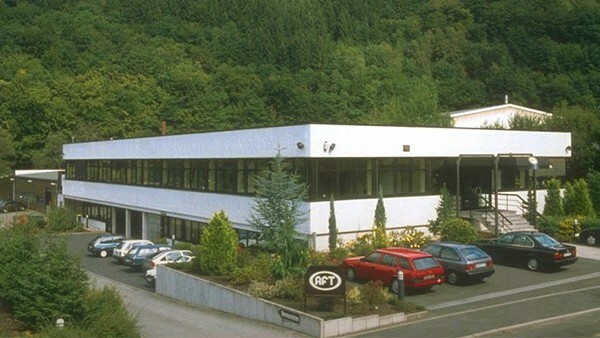 AFT Atlas Fahrzeugtechnik GmbH, a 100% subsidiary of Schaeffler AG, changes its company name to Schaeffler Engineering GmbH. The company positions itself as an engineering service provider and mechatronic systems specialist worldwide. 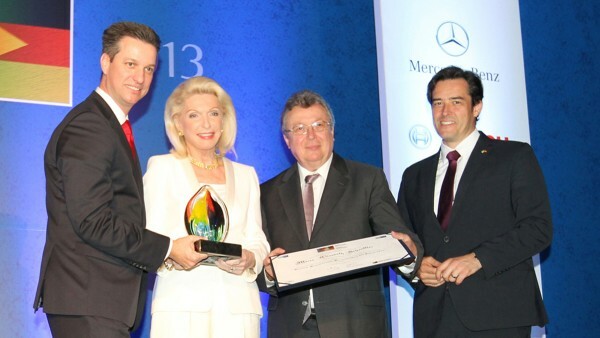 Maria Elisabeth Schaeffler-Thumann is named "Brazilian-German Personality 2013" by the German Chamber of Commerce Abroad (AHK) in São Paulo. The opening of the Schaeffler Academy in Herzogenaurach emphasizes the commitment that Schaeffler has made to the further training of its employees. At the Schaeffler Academy, all of the company’s internal training activities are brought together under one roof. Schaeffler presents a concept car which showcases the drive for the city cars of tomorrow at the IAA in Frankfurt: Schaeffler’s E-Wheel Drive with an integrated wheel hub drive. The Acoustics Competence Center in the Herzogenaurach development center is expanded through the addition of a new testing facility. Three testing rooms and a so-called "vibration room" totaling 180 square meters of floor space are set up and equipped with state-of-the-art measuring and computer technology. 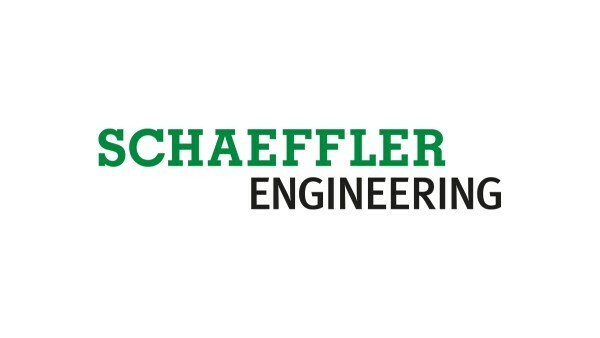 Schaeffler is involved in various areas of motorsport, showing its versatile commitment in the DTM, the Baja 1000 off-road race, the Endurance Championship at the Nürburgring (VLN), the European Truck Racing Championship, tractor pulling events, and the Porsche Carrera Cup. 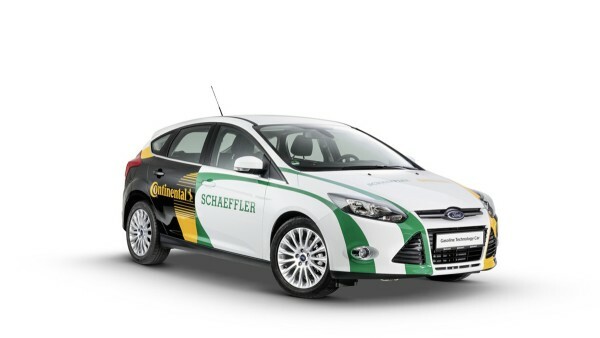 n close collaboration, Schaeffler and Continental create a demonstration vehicle: The “Gasoline Technology Car” (GTC) demonstrates a new dimension in the hybridization of passenger cars with capacity-reduced gasoline engines. With four new certified Schaeffler Technology Centers (STC), Schaeffler strengthens its expertise in the regions and provides even more comprehensive local technical support to its customers. 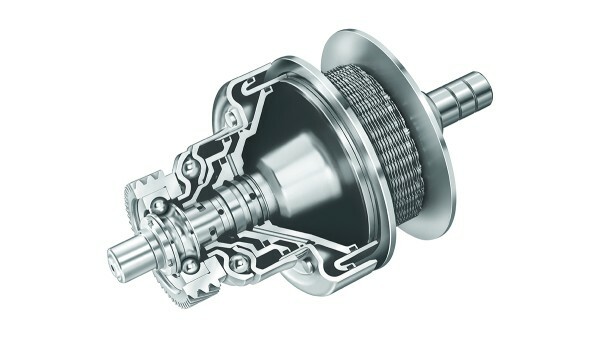 Schaeffler’s torque converter with centrifugal pendulum-type absorber is chosen as the winner of the 2014 PACE Award (Premier Automotive Suppliers' Contribution to Excellence) in the “products” category by Automotive News. 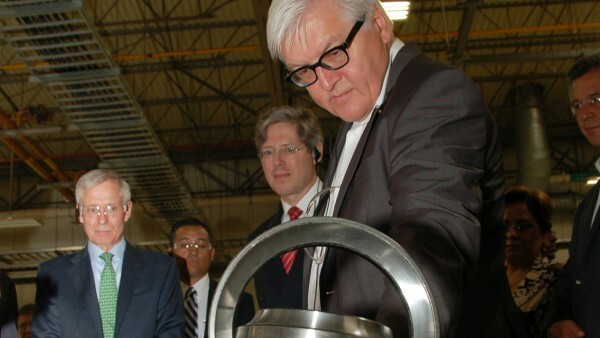 Germany's Foreign Minister, Dr. Frank-Walter Steinmeier, visits Schaeffler's manufacturing location in Irapuato during a trip with an economic delegation. 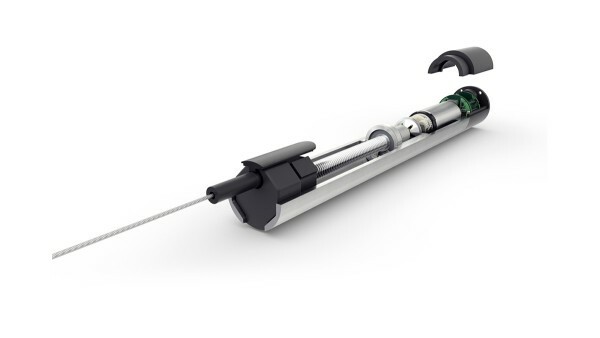 Schaeffler presents an innovative new product in its bicycle product range at the EUROBIKE 2014: The FAG VELOMATIC automatic bicycle gearshift system. 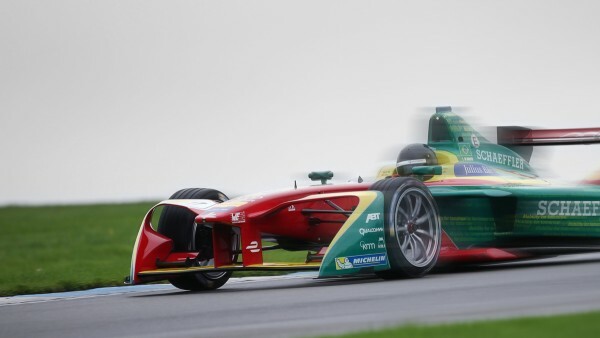 Schaeffler accelerates the development in FIA Formula E and participates as the exclusive technology partner of the ABT Sportsline team with advertising on the cars of Daniel Abt and Lucas di Grassi. 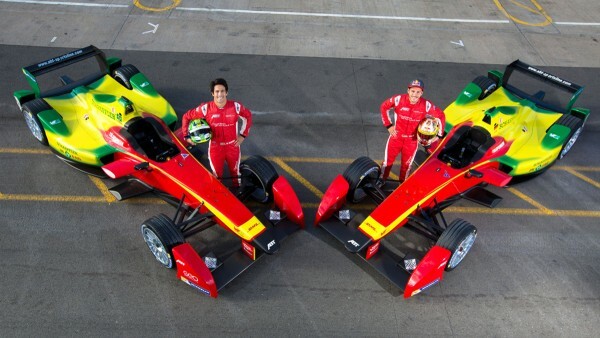 The racing series is held using all-electric race cars. 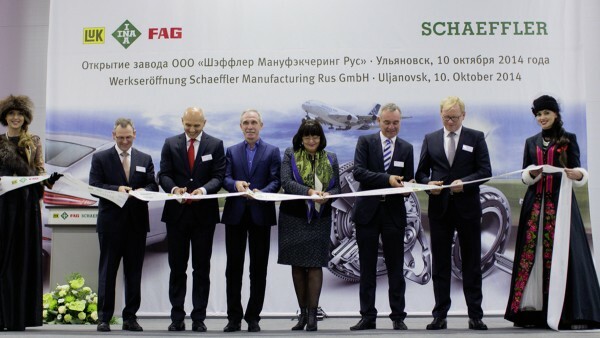 Schaeffler opens its first production site in Russia: Schaeffler now delivers high-quality products to domestic and overseas automobile manufacturers and the railway industry from its new plant in Ulyanovsk. The Schaeffler location in Bühl celebrates the production of the 100 millionth dual mass flywheel. 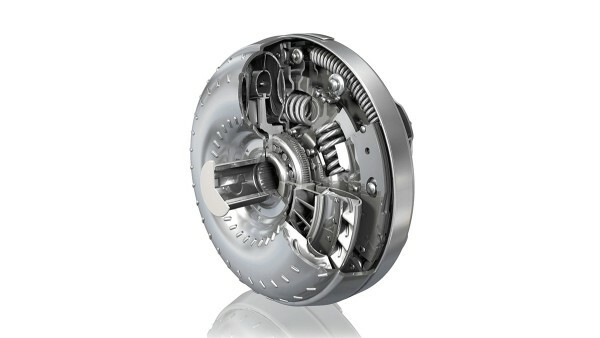 The LuK dual mass flywheel is one of the many outstanding innovations in the company’s 50-year history. 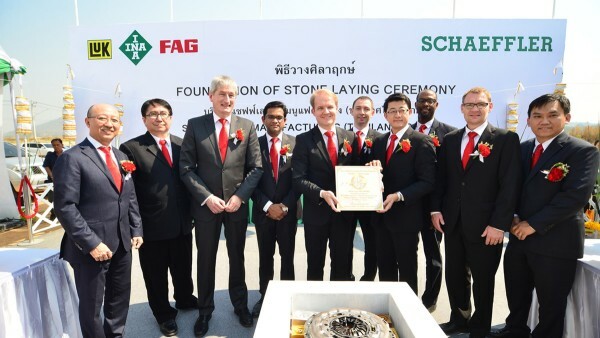 With the foundation stone laying ceremony for greenfield facility in Thailand Schaeffler further expands its manufacturing footprint in Asia/Pacific. 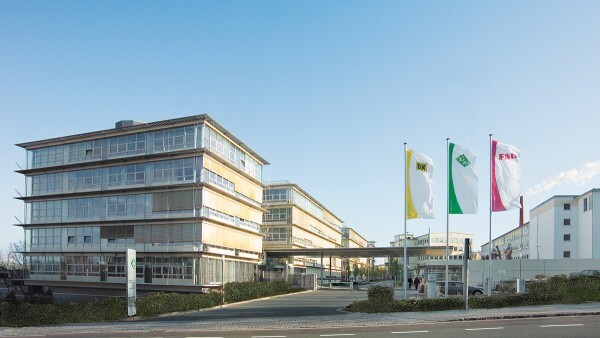 Schaeffler celebrated the 50th birthday of its LuK brand at its location in Bühl. 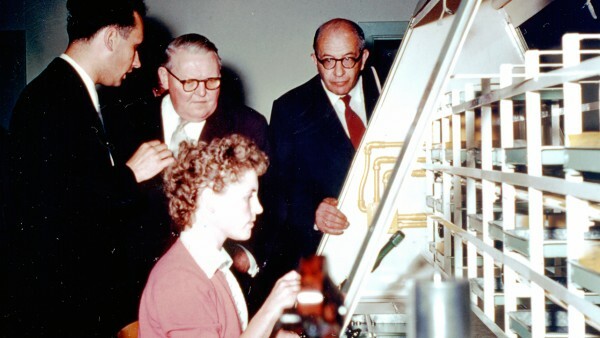 In April 1965, production started for the first time at today's LuK headquarters in Bühl. 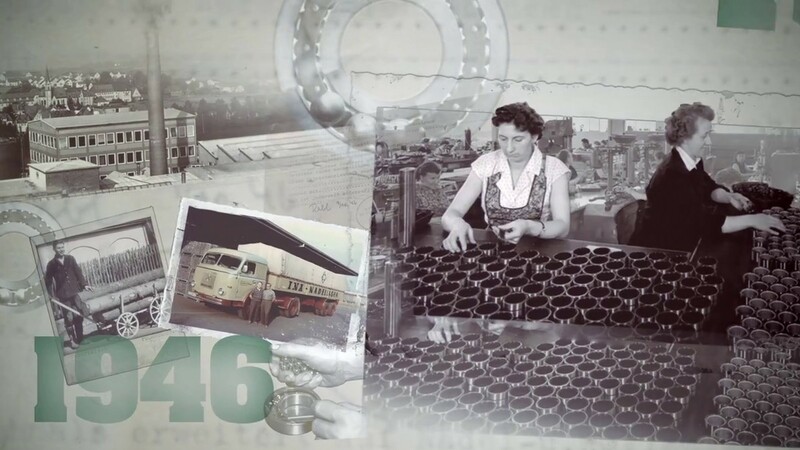 The company history of Schaeffler's LuK brand comes to life in the exhibition "The LuK Story. 50 years. Quality. Technology. Innovation". Schaeffler enters into a strategic partnership with IBM. IBM supports Schaeffler in the integration of its mechatronic components, systems, and machines into the rapidly expanding world of the “Internet of Things” (IoT), as well as implementing market-ready new business models based on digital services. At the U.S. locations Fort Mill and Wooster Schaeffler is building new manufacturing halls and administration buildings. 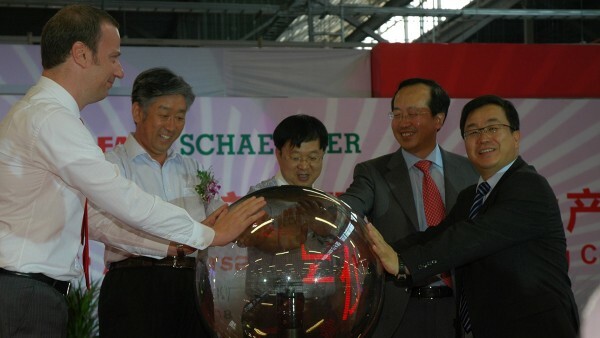 Schaeffler celebrates the opening of new production halls in China and the inauguration of a new plant in Thailand. The first Annual General Meeting after the initial public offering is another milestone in corporate history. 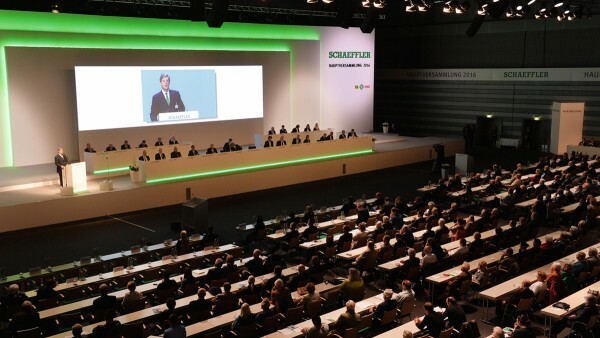 The Chairman of the Supervisory Board, Georg F. W. Schaeffler, welcomes over 350 shareholders and media representatives in Nuremberg’s Frankenhalle. With its strategy “Mobility for tomorrow” – with 4 focus areas, 8 strategic pillars and 16 strategic initiatives – Schaeffler sets the course for future sustainable growth.